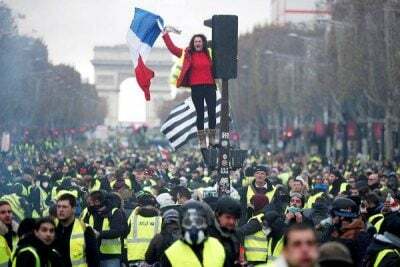 The #GiletsJaunes are always determined, contrary to what the multiple television shows that are devoted to them suggest. Several thousand demonstrators paraded quietly in Paris on Saturday, January 12 for Acte IX determination! until their encirclement by the police at Place de l’Etoile. #VincentLapierre and his team of Media for All was on hand to report the facts as they occurred.